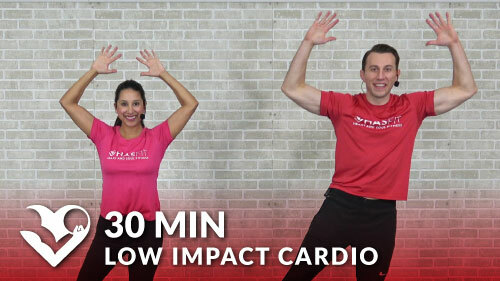 Use this low impact cardio workout to kickstart your fitness! 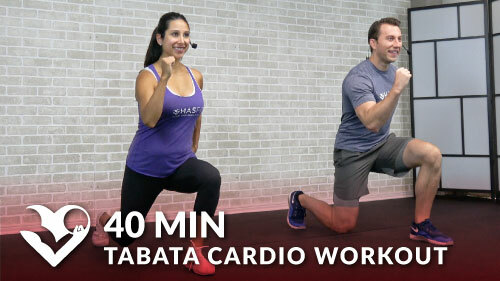 It includes a warm up, 10 low impact exercises, and a cool down to create a total body workout that’s also easy on your joints. There’s no equipment required, but you may want to hold on to a couple of light water bottles or hand weights for added resistance.